The 2016 FJR1300ES™ features an all-new 6-speed transmission, lean angle sensitive cornering headlight system, plus electronically adjusted suspension. Putting the “Sport” in Supersport Touring: The 2016 FJR1300ES features a compact and lightweight, 1298cc, DOHC, 16 valve, liquid-cooled inline four-cylinder engine that delivers superb power and torque for unequaled muscular acceleration across the RPM range. New 6-Speed Transmission: An all-new transmission pushes the 2016 FJR1300ES to new heights, with the revised ratios providing evenly spaced gearing for sporty riding and a tall 6th gear for relaxed highway riding. Additionally, the transmission gears have been modified to offer smoother, quieter running. Advanced YCC-T Engine Control, Traction Control, Cruise Control, D-Mode Engine Mapping: Yamaha’s exclusive Chip Controlled Throttle YCC-T , a ride-by-wire system provides crisp, seamless throttle response. YCC-T also allows for other advanced systems that are ideal for Supersport Touring such as traction control, cruise control and D-Mode adjustable engine mapping. All-New Lean Angle-Sensitive LED Lighting System: The FJR ES utilizes Yamaha’s all-new LED lean-angle sensitive lighting system that allows riders to see through the corners for incredible illumination and improved low-light vision. 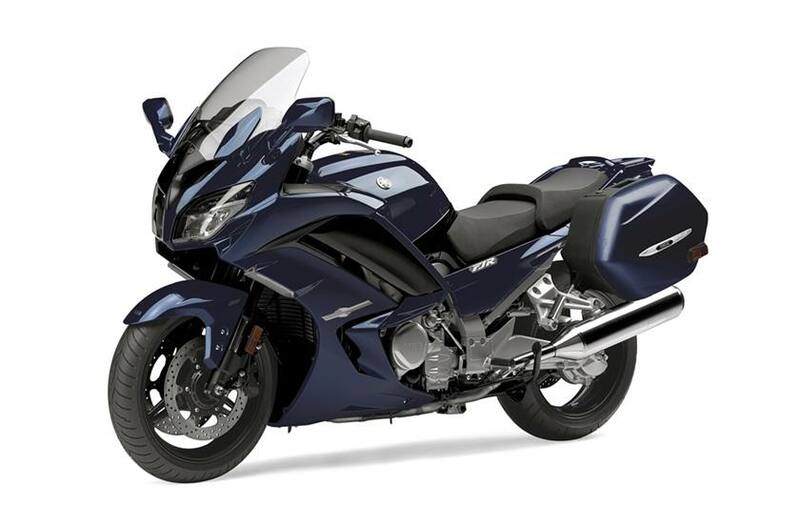 The 2016 FJR1300ES is the first Yamaha motorcycle to feature this technology. New 6-Speed Transmission: An all-new transmission pushes the 2016 FJR1300ES to new heights, with the revised ratios providing evenly spaced gearing for sporty riding, with a tall sixth gear for relaxed cruising on the highway. Additionally, the transmission gears are now helically cut, for smoother, quieter running, and new separated gear dogs improve transmission performance. New Assist-and-Slipper Clutch: The FJR1300ES includes a new assist-and-slipper clutch unit that provides additional clutch plate clamping force under engine torque, as well as reduced force under back-torque from the rear wheel. This allows for the use of lighter clutch springs - reducing clutch lever effort by approximately 20% - as well as smoother, more refined downshifting. 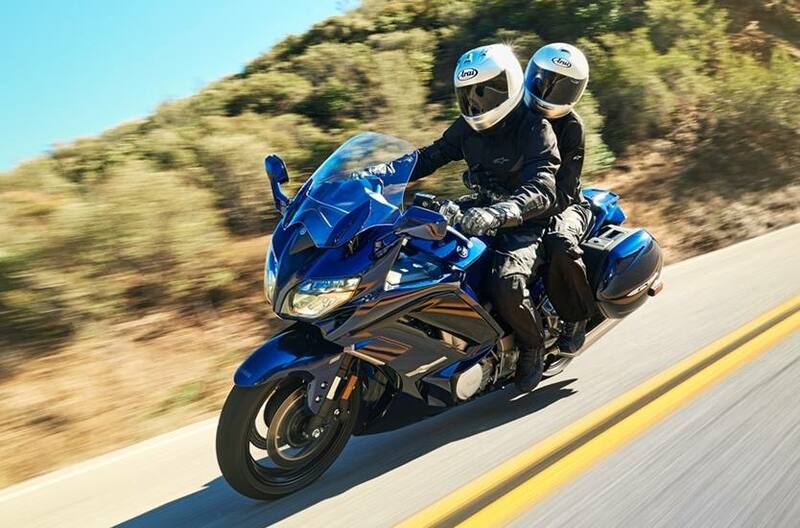 Traction Control: The FJR1300ES’ Traction Control System detects tire slip and adjusts ignition timing, fuel injection volume, and throttle valve opening to help prevent uncontrolled wheelspin. The system is designed to let the operator ride on roads that have limited traction with greater confidence. 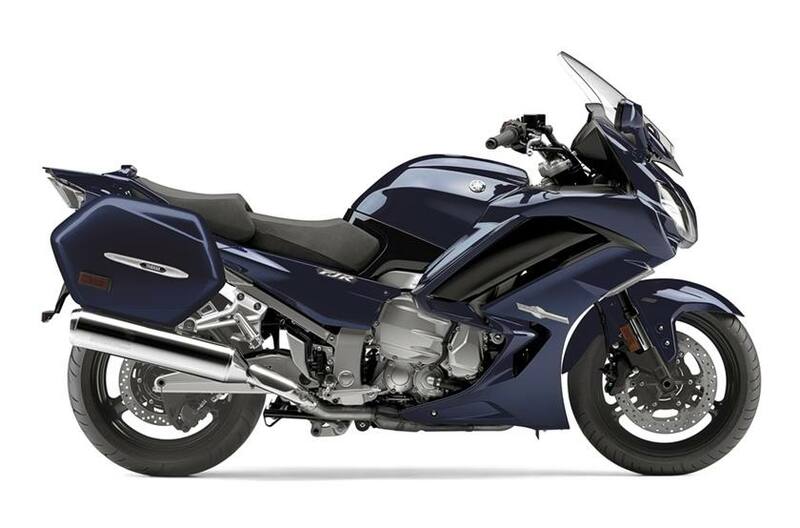 Advanced Ride-by-Wire Fuel Injection: The FJR1300ES makes use of Yamaha’s Chip Controlled Throttle (YCC-T), a ride-by-wire system that provides crisp, seamless throttle response in a variety of altitude and weather conditions—ideally matched to the refined and sporty nature of the FJR. High Efficiency Dual Exhaust: The four-into-one-into-two stainless-steel exhaust optimizes engine performance across the powerband, and an updated catalyst runs cleaner than ever before. New Lean Angle-Sensitive LED Cornering Headlights: The bold new face of the FJR1300ES uses bright, high-efficiency LED lighting, featuring Yamaha’s all-new cornering headlights. Above the quad-element LED headlight assembly, six LED units illuminate sequentially to shine through turns, controlled by Yamaha’s IMU technology. As on the previous FJR, the headlights also feature tool-less adjustment of headlight angle to account for vehicle loads. Finally, a new LED tail lamp assembly adds even more style and quality. Revised Bodywork: Headlined by the new LED headlight system, stylish, supersport-inspired bodywork with integrated airflow management keeps the rider comfortable. 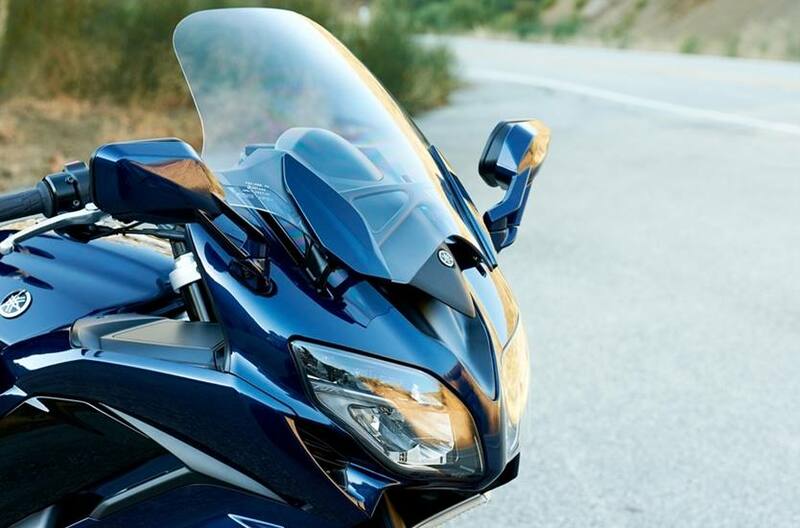 A central vent beneath the instrument panel reduces negative pressure for less buffeting, and tool-less adjustable fairing side panels let the rider direct lower body airflow. Electronically Adjustable Suspension: Electronically adjusted suspension makes finding the right setting as easy as pushing a button. With four pre-load settings, three damping adjustments and an additional seven damping fine-tuning adjustments, the FJR1300ES’ suspension can be dialed perfectly to meet the needs of the rider, passenger and the riding conditions. 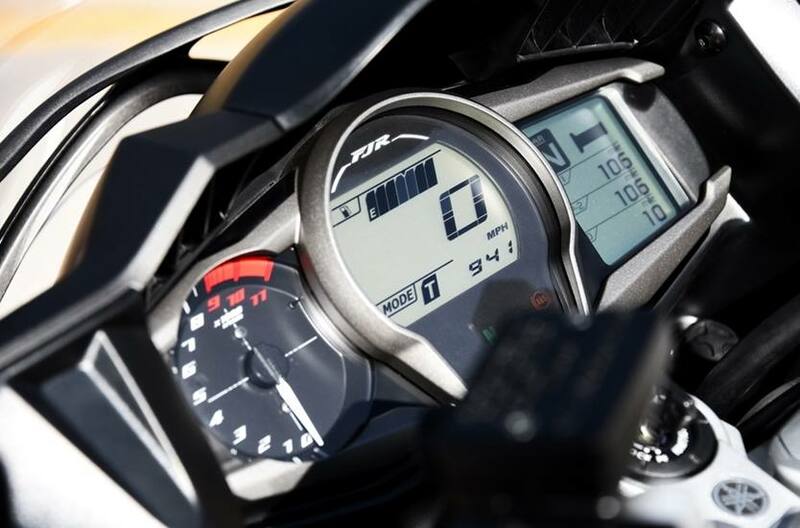 Updated Instrumentation: The revised three-part instrument panel provides riders with all the information they need while enjoying the road, including trip computer functions, riding modes and more. Riders can easily customize the dot-matrix multi-function display to show the information they want with a flick of the bar-mounted switchgear, too. Standard Heated Grips: The FJR1300ES includes heated grips straight from the factory, adjustable through the multi-function instrumentation, with four settings (three settings plus off) of available heat for cooler conditions and foul weather. Rake (Caster Angle): 4.9 in.